WiserSpread helps businesses to dramatically Increase performance by optimizing their Salesforce.com CRM. What Salesforce CPQ Consulting solution do you use? 4C helps companies transform from product focused to customer obsessed, by bringing their customer experiences to life on the Salesforce.com platform. At ForceBrain.com, we are cloud computing implementers, who hold expert certifications, and guarantee our work. Everymind deliver results. Consulting services, solutions and support to a range of Brazilian, LatAm and US companies. Its extensive experience includes building Force.com applications, implementing and extending Salesforce.com to meet specific business needs and innovating inside the platform with the brand new analytcs and IoT clouds. GearsCRM provides Salesforce consulting and services for companies of all sizes to improve productivity and profitability by optimizing their Salesforce implementations. CassaCloud is a European-based provider of Salesforce.com platform-related services that supports both Salesforce.com partners and direct clients by providing flexible on-demand services and becoming a high-value extension of your team. Emelar Consulting Group is a management and Salesforce consulting firm helping organizations significantly improve performance and bottom line results through management services. JAUST Consulting Partners is a boutique consulting firm focused on helping its clients transform their business ecosystems and revolutionize their business models resulting in enhanced efficiency, stronger revenue growth and greater customer experience. * We monitor all WiserSpread LLC reviews to prevent fraudulent reviews and keep review quality high. We do not post reviews by company employees or direct competitors. Validated reviews require the user to submit a screenshot of the product containing their user ID, in order to verify a user is an actual user of the product. Hi there! 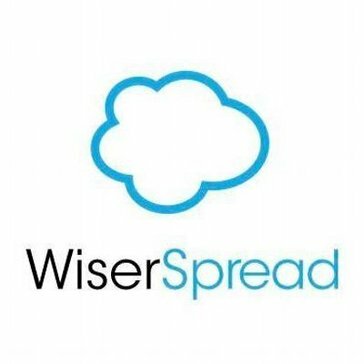 Are you looking to implement a solution like WiserSpread LLC?